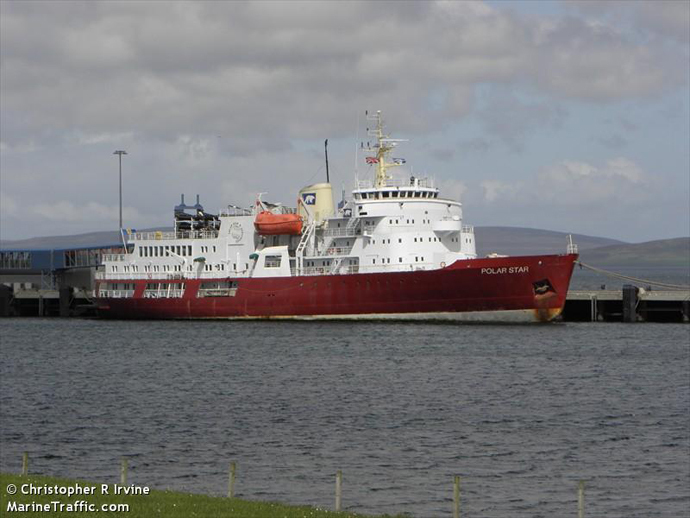 Thanks to a tip from a reader who prefers to remain anonymous, WC has learned that the Polar Star is out of dry dock and back in the water. It’s not at all clear what, if anything, that may mean, but there has been some work done on the sternwards fifth deck since the last photo. She’s still at the shipyard in Las Palmas, Azores, but there’s some slight indication on the Marine Traffic web site that she could be undergoing sea trials. She may have been in the water since February; it is very difficult to obtain reliable information. Not much news, not necessarily reliable, but perhaps an auspicious sign that she may, some day, be back in business.